A priori it is not a moment in stone like the Colosseum that seems to have needed the most repairs during its history. And yet, many elements were made of wood and metal, two materials very sensitive to fire. But it was precisely the fires that did the most damage in Rome during the antiquity. The Colosseum was often renovated, and some emperors left traces of these repairs in the stones that can still be seen today. The first fire that occurred in the history of the Colosseum came during the reign of Antoninus (86-161). If the Colosseum was well touched as the replacement of a few capitals of columns testifies, the building does not seem to have burned completely. This is unfortunately what happened in 217 when lightning reached the upper floors. A fire broke out, it spread to the arena (wood), the hypogeum, and finally the whole Colosseum was no more than a huge torch. Completely destroyed, its carcass was completely renovated during the next 5 years. The building was inaugurated a second time in 222 by the Emperor Severus Alexander, but it is not as far as it was finished since the repairs continued until 240. The reign of Gallien (218-268) is marked by an earthquake that destroys part of Rome. 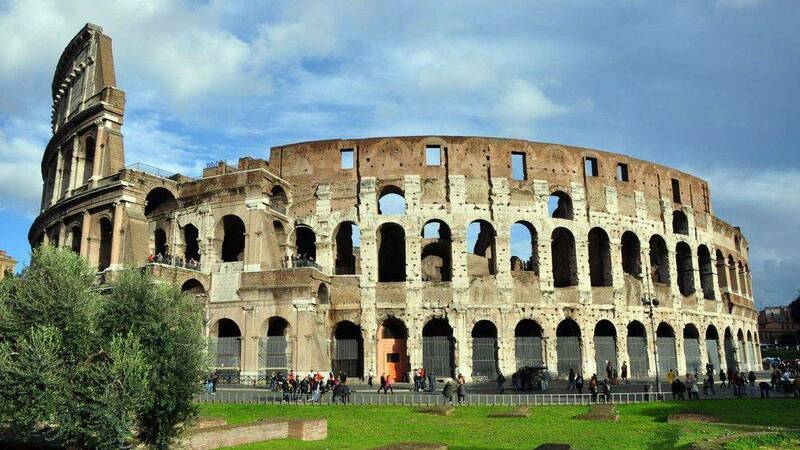 The Colosseum is damaged again, and repaired again. The last fire on the building is 320, but it is not a very serious fire because it can be contained before it degenerates. Between 408 and 410 the Visigoths of Alaric attack Rome and make it the seat. The city ends up falling, she is sacked for 3 days. On this occasion the Colosseum is severely degraded because the pipes of water rejection are obstructed, causing flooding of the hypogeum which becomes unusable. In addition a piece of the upper part of the building collapses on the cavea, causing significant damage that will be repaired between 417 and 423. If the region of Rome is not particularly prone to earthquakes, it is the whole of Italy and even the mediterranean rim which undergoes regular earthquakes. These were particularly numerous during the fifth century. Then, it is in the middle ages that the region undergoes the greatest earthquakes, putting down many buildings in a little all the countries bordering the sea. During the fifth century the tremors were of less intensity, but sometimes enough to seriously damage the Colosseum. This was the case of the years 429, 443, 470 and 484. We know these dates by documentary sources of course, but also by the presence, on the Colosseum, of engraved stones recalling the repairs made. After the 6th century the Colosseum is abandoned, it is just used as shelter for the peasants during the following centuries. Houses and stables are built there. But this does not mean that he was safe from earthquakes. Those of 801 and 847 certainly caused damage, but we have no documentation on it. By cons the earthquake of 1231 left us information. This violent blow of the lot made to collapse part of the wall on the south-west side, which weakened the whole. But in 1349 took place the "great" earthquake. 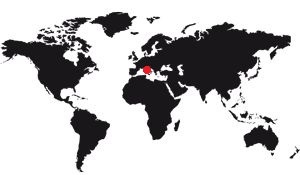 This was the most important that has known the mediterranean surround since antiquity. It was felt in the Pyrenean mountains, in the plains of northern Italy, in the Greek islands, in short everywhere. The consequences were disastrous, many buildings were completely destroyed. All the fortresses were damaged, the medieval castles of the past centuries were largely razed, their structures had not benefited from the contributions of modern technologies for the time. And even for those who benefited, the damage was important. The Colosseum did not escape the rule and it is several arches south side that were completely demolished. Nowadays the Colosseum is an impressive building, all in stone. But at the time of its construction its cavea, ie its stone structure, was only one material among others. Wood was very present, more than now. First the arena was wooden covered with a thick layer of sand. A violent fire heated up the sand so much that a single flaming beam could spread fire to the floor. Under the floor was the hypogeum, corridors and halls where were gladiators, animals, equipment to use in the arena. The wood supported the corridors, the halls and supported the arena. A fire collapsed "behind the scenes" of the Colosseum, which then became unusable. The stands were not very rich in wood, but they were sheltered from the Sun by large canvases held by 240 wooden masts on which ropes slid, for the manipulation of the canvases. All that was very flammable. 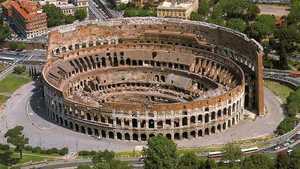 But the Colosseum also contained iron, which melted quickly during a fire. If the metal rods holding the various elements of the decor disappeared it was not very serious, but the melting of the staples was dramatic because they were separating the blocks of stone between them. Indeed, the stones were not only stacked on top of each other. They were not glued either, but hooked to each other by bronze or iron clasps. Moreover it is the reason for being holes that we still see today on the stones. The consequences of a fire were dramatic because once burned, the tall, round building turned into a giant brazier and sent sparks all over the city, triggering a start of fire everywhere. Rome burned several times as well.